Which medications I should avoid to prepare for skin testing? I have several cold or flu-like episodes a year. Is my immune system weak? Or is it allergies? Will allergies go away? How long do I need to take allergy medications? Will asthma go away? Can asthma medications be stopped? How long should I be on allergy shots or allergy drops? My parents told me I had penicillin allergy when I was a child. Should I be worried? Should I test for food allergies? Should I test for wheat allergy if I suspect I have gluten sensitivity? What is gluten sensitivity? What can I do about it? Does gluten-free diet help? I have mosquito bites. The bite site swells up really large. Should I be worried? Below are good website links for in depth information on allergic and immunologic diseases. 1. Which medications I should avoid to prepare for skin testing? Answer: In general, you should stop all antihistamine medications for 5 - 7 days prior to skin testing procedure. OTC medications that have "Cold, Flu, Cough or Sinus" label usually contain antihistamine. These medications could potentially suppress the skin reactivity, resulting in poor quality of skin testing. Common OTC antihistamines are Allergra®, Benadryl®, Claritin®, Zyrtec®. You should continue taking asthma and sinus medications prescribed by your physician. Stop taking asthma and sinus medications might be potentially exacerbate your asthma or sinus symptoms when skin testing is done. For a more complete list of medications to avoid prior to testing, please click here. 2. I have several cold or flu-like episodes a year. Is my immune system weak? Or is it allergy? Answer: It is unusual for you to have recurrent cold/flu-like symptoms many times a year. Cold/flu-like symptoms usually do not last longer than 10-14 days. Both allergy and cold symptoms can present with congestion, runny nose and tiredness. Since about 30-40% of the US population has allergy, it is more likely that those symptoms are due to allergy. In rare cases, a weak immune system or primary immunodeficiency can cause recurrent sinus infections and even severe infection like in pneumonia, deep seed abscesses... Allergist/Immunologist are specialized in diagnosising and treating these conditions. 3. Will allergies go away? How long do I need to take allergy medication? Answer: Once you develop allergies, your immune system will continue to recognize and develop sensitivity or allergies to new allergens in your environment. It usually takes about 2 - 3 years to recognize the significant changes of your symptoms. Therefore, if left untreated, your allergy symptoms can get worse over the years. Sometimes, allergy symptoms improve when you get older. It is thought that relieving allergy symptoms in this case are due to the elderly's general slowing down of all systems, including slowing down of the immune system. As mentioned elsewhere, allergies are due to overactivity of one part of the immune system. Taking allergy shots or allergy immunotherapy can prevent new allergies from developing. Like all other chronic diseases, allergy medications are best if you take it daily consistently. It does not work well if you take medications only a few times a month. 4. Will asthma go away? Can asthma medications be stopped? Answer: In children with mild allergic asthma, they sometimes enjoy a transient or even permanent remission growing up. However, children with more severe asthma and continued allergen exposure often lead to permanent asthma in adulthood. Adults with allergies often develop asthma in their twenties and thirties. Once asthma is diagnosed, it tends to be chronic pretty much like getting a diagnosis of hypertension and diabetes, which are all chronic diseases. Since asthma is a chronic disease, asthma medications should be used continuously and should not be stopped to prevent remodeling of the airway. 5. How long should I be on allergy shots or allergy drops? Answer: It takes 3 to 6 months for build up phase. For maintenance phase, it will take about 3 to 5 years. In total, you will be on allergy shots for about 4 to 5 years. This is the time needed to induce long lasting tolerance meaning even after stopping allergy shots, you would continue to do well. There is not much data as to how long you should take allergy drops or allergy tablets so it is usually advised to take allergy drops or tablets a few weeks before expected allergy seasons. More information about this can be found here. 6. Are allergy shots dangerous? Answer: There is a small risk of anaphylatic reaction to allergy shots with severe anaphylatic shock occuring with a frequency of about one in 30,000 shots. Reactions usually appear within the first 20 - 30 minutes after taking allergy shots. That is why you are required to be supervised in an allergy clinic so appropriate and timely treatment can be given to reverse the reaction quickly. 7. My parents told me I had penicillin allergy when I was a child. Should I be worried? Answer: Penicillin is an important class of antibiotic. It is the most reported drug allergy. Fortunately in patients with a reported childhood penicillin allergy, up to 90% are tested negative to penicillin and subsequently can tolerate the medication without major problems. Since reactions to penicillin can be dangerous including anaphylaxis, it is best to have it tested and challenge in an allergy clinic where you are monitored and treated appropriately. 8. Should I test for food allergies? Answer: Food allergy test should be done for diagnostic purposes only. It should be done only when you have symptoms consistent with an immediate allergic reaction to foods. It should not be done as a screening tool for food allergies since it may cause unnecessary worry and burden of avoidance of different types foods. 9. Should I test for wheat allergy if I suspect I have gluten sensitivity? Answer: Gluten sensitivity is a reaction to gluten but not due to allergic antibodies. Wheat allergy testing detects reaction to wheat proteins by allergy antibodies so it is not the test for gluten sensitivity. 10. What is gluten sensitivity? What can I do about it? Does gluten-free diet help? Answer: Gluten sensitivity can range from a well defined celiac disease, clear wheat allergy to a collection of vague symptoms such as ache and pain, headache, and fatigue. Besides celiac disease and wheat allergy, diagnosis of gluten sensitivity is complex and lab tests are unhelpful. A trial of a gluten-free diet is helpful in this case. Patients should see significant changes of symptoms within a week of diet change. 11. Can food allergies be cured? Answer: Currently, avoidance of the allergic food is the main way of treatment. Food desensitization has been studied in the past few years. More information about its safety and efficay is known now compared to just a few years ago. 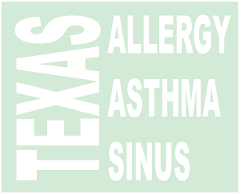 Many selected foods can be safely desensitized here at Texas Allergy. Please check out our Food Allergy Clinic for more information. 12. I have mosquito bites. The bite site swells up really large. Should I be worried? Answer: A local swelling to insect bites is expected. Large local swelling can be treated with medications. A systemic reaction like hives away from bite sites, bronchospasm and other GI symptoms should be a cause for concern. In those cases, venom immunotherapy or allergy shots for insect allergy might be indicated. Allergist is specialized in evaluating and treating this condition.